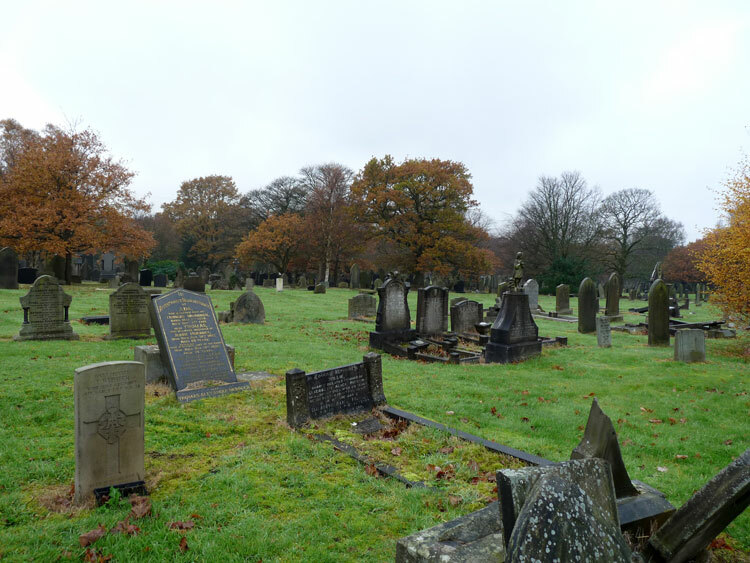 Burnley Cemetery contains 188 burials of the First World War and a Screen Wall near the entrance to the cemetery records the names of 173 of these casualties whose graves could not be individually marked. A Cross of Sacrifice stands before the screen wall. The cemetery also contains 93 scattered burials of the Second World War. A further 93 burials are for the Second World War. One burial is that of a soldier who served with the Yorkshire Regiment. We are very grateful to Mike Berrell (<mike_berrell@ntlworld.com>) for the photographs of the headstone and of the cemetery. For a larger sized image which opens in a new window, select the above image. Private Timothy Webster. 6837. 2nd/4th Battalion the Yorkshire Regiment. 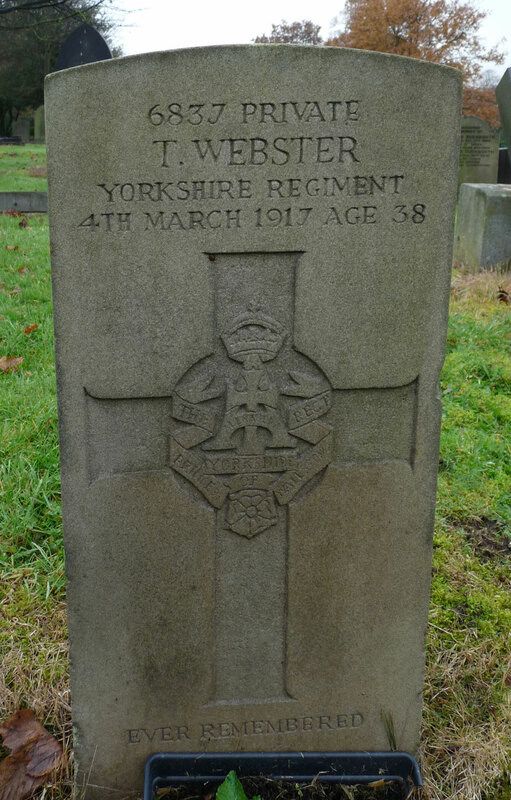 Husband of Nancy Webster, of 2, Raws Court, South St., Burnley. Died at home 4 March 1917. Aged 38. Born Preston (Lancs), Enlisted Burnley (Lancs). 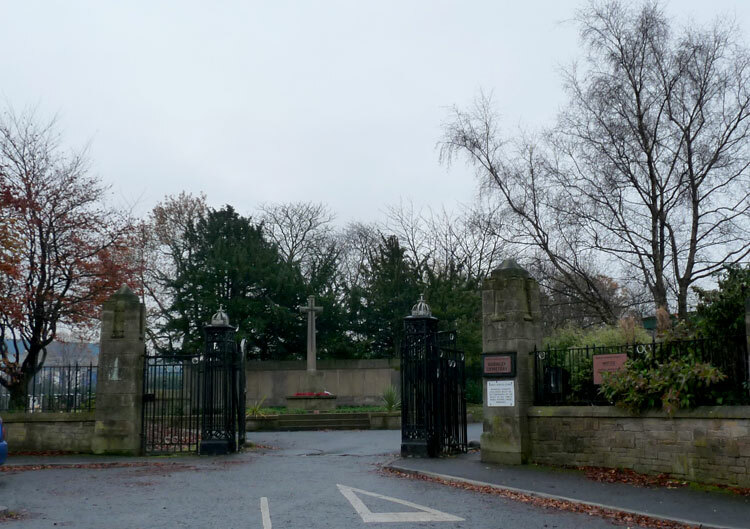 The Cross of Sacrifice and the First World War Screen Wall at the Entrance to Burnley Cemetery.